I am a party failure. True story. In this month of talking about community, I’ve got to come clean. I cannot throw a party. Other than unicorn/princess/Harry Potter themed birthday parties that have long since seen their day. My baby is almost twenty. She is not so into letting me plan gift bags with glitter tattoos and a rainbow cake anymore. But at those kinds of parties—I was a boss. Just so you know. But now? Friends, neighbors, coworkers—all those people you want to have over and just kick back and have fun around the backyard fire? Fail. I have them, and no one comes. I once threw a surprise birthday party. And No. One. Came. Do you know what it’s like to sit around with a big tub of sour cream and onion dip and and pretend to your spouse (the birthday-ee) that no, there was just a good sale so you bought that industrial-sized cheetos bag for only the two of you? I cannot even remember how I explained the Happy Birthday banner. Whatever, people. It’s been over 25 years; I think we’ve moved on. But it’s not just me. See, I googled it this morning. 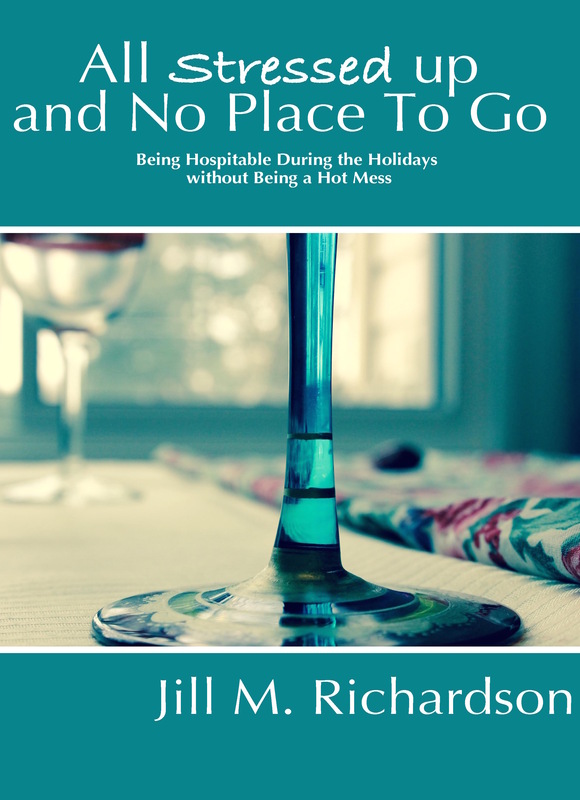 There are pages of stories of people who have thrown parties to which no one came. Advice columns. Blogs. Humor essays. Ugly crying in latte essays. All over the world, people throw parties and no one comes. I thought it was just me. No one RSVP’s anymore because everyone is just planning to wait until the day to see if they feel like it or not. And the reality is, on the day, more often than not inertia sets in. No matter how much you think you should go or you know you’d enjoy it, the pull of not changing the status quo is too great. We don’t go. We find better things to do. We find nothing to do, which is often what we need after a hard day/week/year. I am one of these people. I know of what I speak. But while I talk about how important it is to create community, I have to be honest, too. I am a community creating failure. And I know it’s not just me. Lots of us are feeling the same way. How do we create a community in the midst of a culture that won’t commit, needs downtime like we need oxygen, and considers relationships as disposable as hitting the “unfriend”button on facebook? How do we not just quit when no one shows up to our lives? I don’t know. If I did, I wouldn’t be a party fail. But I have found some interesting tips. I am terrible at most of the things experts say to do, so there is that. Maybe some of these ideas will stick. But honestly, I don’t know. In her blog, Conrinna Gordon-Barnes writes, “In my experience, there’s an optimal time frame between too lengthy notice and too short notice. Experiment and find what works for the people you want to invite.” In other words, my method of inviting people to come to an event in approximately ten minutes probably isn’t the best modus operandi. Figure out what the magic window is for your people. They’ll still cancel or not RSVP, but you’ve set yourself up for a better chance. I hate rejection. I hate leaving people out. So I don’t invite people personally. I make blanket invitations. Those almost never work, according to professionals (and according to all those would-be party throwers crying into their drink of choice whose blogs I read). With a blanket invite, people feel free, almost empowered, to not show up. Someone else will. It wasn’t meant for me anyway. I’ll come next time. Here’s a big hurdle for me. I need to do better. Not literally. 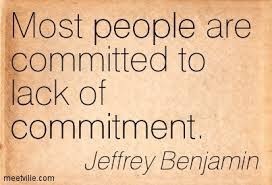 But most experts tell us that having some kind of stake in the commitment makes people keep their word. If someone commits to bringing the flaming pumpkin dessert, he or she is not as likely to flake out on you at the last minute because the ex-boyfriend is back in town and maybe they’ll get back together. That’s good news for you and for the dessert bringer. This is hard for me, because I prefer low key, casual, come and go. If you can you can, if you can’t, no worries. But more often than not, can’t is what happens. I don’t know the answer. I really don’t. But I know this. I need to be a better committer if I want this elusive thing called community. . Maybe that’s the real answer. Maybe it’s not learning how to throw a better shindig or understanding the exact equation for maximum attendance. Maybe it’s as simple as being a committed friend. Being what I want to see. Because like I said, I am so one of the guilty people. And the truth is, sometimes, we need to be. Sometimes, we do need to take some stuff off our schedule and say no. But sometimes? I think we overdo that. But scary is sometimes the best thing we need to move forward. Do you have any answers for community building? Anything that’s worked for you? Any failure stories you’d like to share (so I don’t feel so alone)? 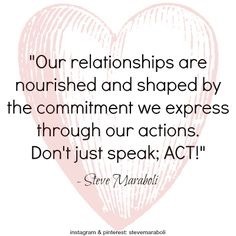 Start the conversation below!